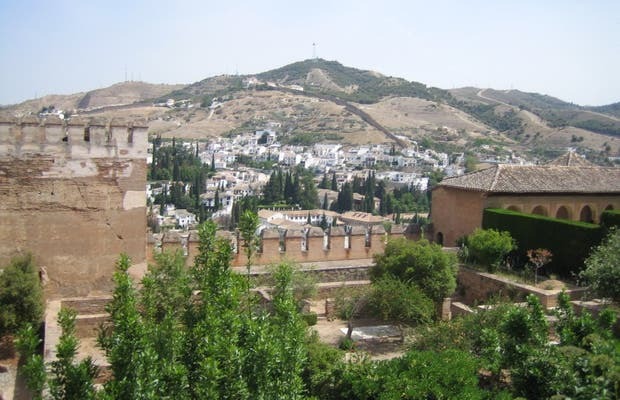 If I only had one day in Granada, I would definitely go to the Alhambra. The price for adults is around €14.00, but it's best to play it safe and get your ticket online as you can choose the time of your visit (daytime is best to enjoy the sunshine, the evening is best for the sunset, and the night visit is a unique way to see the palace lit up at night). We bought our tickets for the palaces at 18.30 so we were lucky to see it all in the last light of the afternoon - people told me that the night visit leaves a bit to be desired with regard to the lighting. The views, especially of the Albayzin, are amazing.